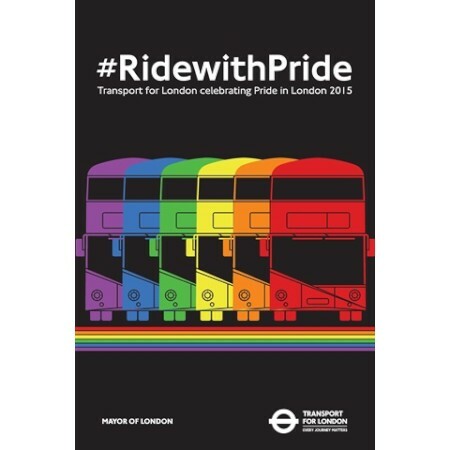 Poster that depicts 6 buses in bright colours representing the Pride flag on a black background. London's calendar has always been full of public events. These range from large scale annual events and one-off festivals, for which thousands of Londoners take to the streets, to smaller exhibitions held at a variety of specific venues. Transport companies have always taken the opportunity to promote travel to such events through their posters. On public holidays, when there were no scheduled events to promote, posters encouraged Londoners to travel out into the countryside or to explore the city.